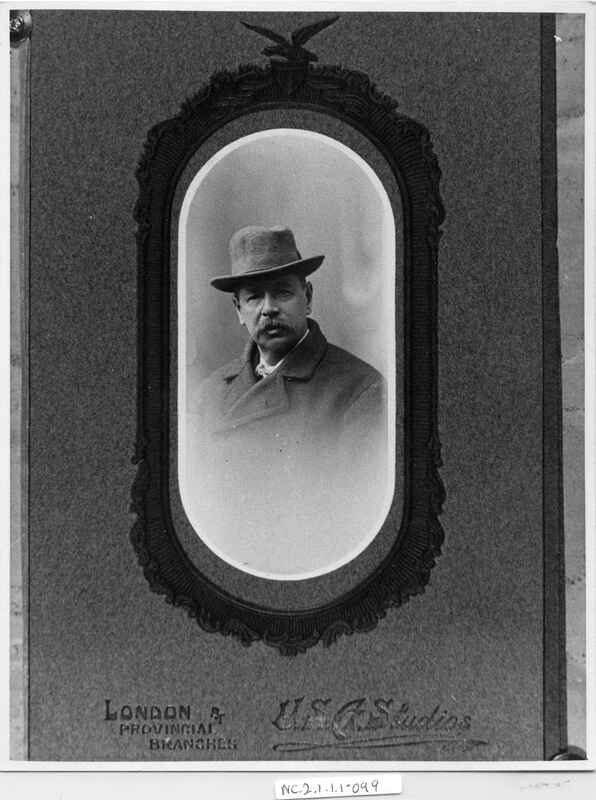 Full Description: A modern photographic copy of a plate image of Charles Rutterford - the father of Ernest Rutterford. Chas Rutterford was Harry Minting's friend and concertina teacher for 22 years (see Item NC.2.1.1.1-062 ) - and father of Ernest Rutterford, later to become Harry's band partner in the "Shakespeare-Rutterford Rhythmonic Combination". For an earlier photograph of Chas Rutterford, see Item NC.2.1.1.1-107 .